Edamame are boiled soybeans, a legume, and are known for their high protein content, along with a punch of fibre and healthy fats. They also contain isoflavones which help lower cholesterol and provide protection against some cancers. 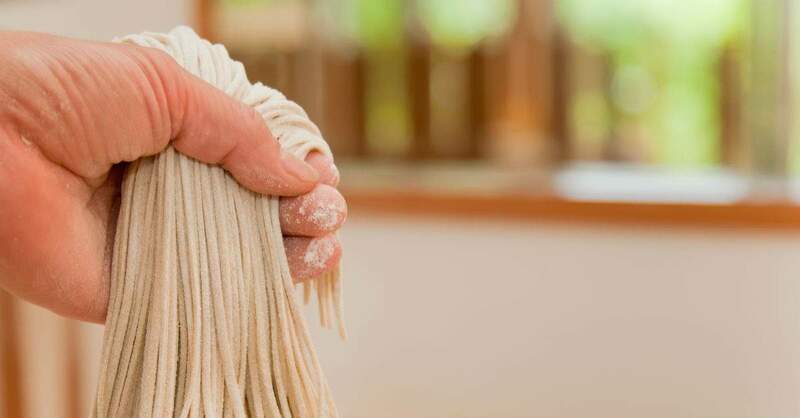 Soba noodles are traditionally made from buckwheat and are therefore gluten free – sometimes wheat is included however, so check the label if gluten-sensitive. Buckwheat is a good source of magnesium, which is very important for good cellular health, and in the creation of energy. Shrimps are low in fat, a great source protein, along with providing selenium (an antioxidant) and vitamin B12 (important for nervous system, growth and good appetite in kids). Add noodles and let simmer for a couple of minutes (until noodles are hot). 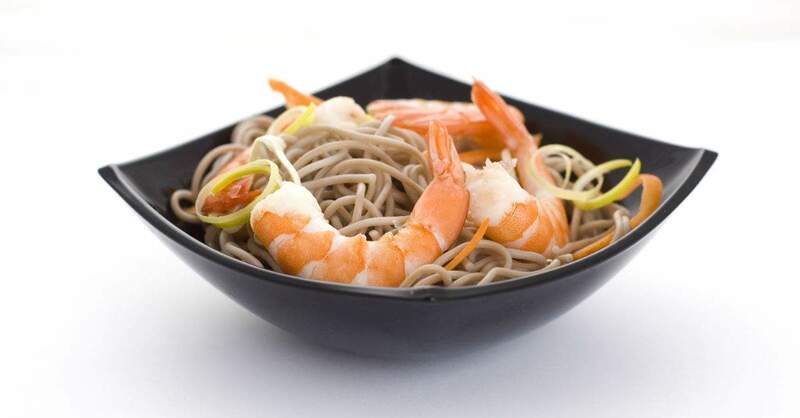 Did you know that soba noodles are traditionally made of buckwheat, which isn’t at all related to the wheat we commonly eat? Find out why bees like them too. We cooked this today, and my 2,5 old daughter just could not get enough! I think it was the simple, yet succulent sauce that did it, together with the much-liked ‘slurping’:) At first she did not want to eat the shrimps, but when I cut them into smaller pieces and fed with the noodles, they went down very well. We substituted edamame with long beans, which worked out just fine – we boiled them with the sauce. Next time, we might add some red bell pepper too, just to add some colour and increase the crunchiness. I could not find pure buckwheat noodles at the store we usually shop at, and so the ones we used actually had mostly normal wheat. Given this recipe was such a hit, I will for sure hunt down those pure buckwheat ones, as I am also keen to increase variety in our died and cut down on wheat. It’s not always clear where it originates from, and I am especially suspicious about non-organic US produced wheat, see e.g.